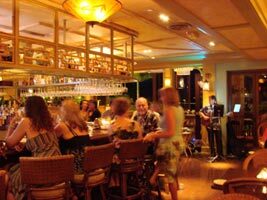 Eclectic with a tropical twist, Tommy Bahama’s Tropical Café on the Big Island Hawaii offers a relaxed, elegant island ambience along with truly inspired cuisine. Their "life is one long weekend" mindset turns the island experience from wishful thinking to a tasty reality with a “cosmopolitan collection of dishes inspired by diverse getaways to Jamaica, Barbados and beyond”. Signature dishes, such as their award-winning Tommy’s World Famous Coconut Shrimp and mouthwatering Pina Colada Cake tempt the palette. 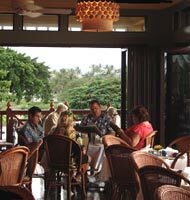 The tranquil environment, good food and warm hospitality combine to make Tommy Bahama's Tropical Cafe the perfect place to recharge or unwind.